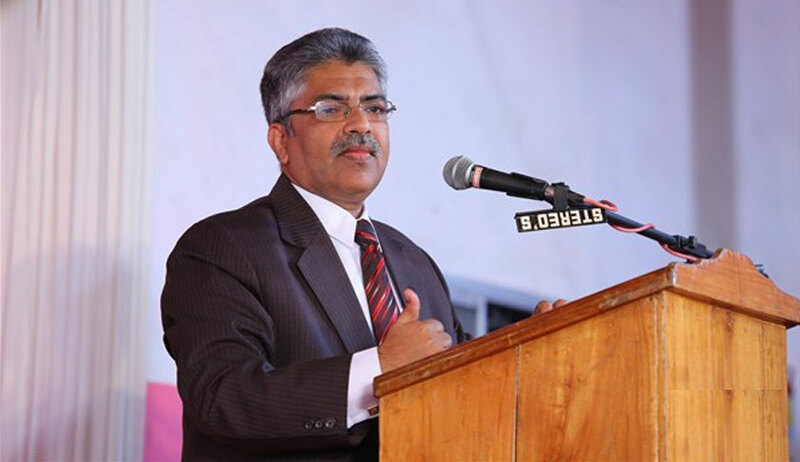 Justice B Kemal Pasha, who retired from the Kerala High Court today, in his farewell speech criticized the present high court collegium as he said that there are competent lawyers eligible to be elevated as judges and to pick and choose some persons who are not at all competent to be judges and to recommend them for elevation will point fingers towards the system while stressing that appointment of Judges not a family property to be partitioned. Without making any specific mention, Justice Pasha said the recent incidents in the high court have diminished the reputation of the great institution the Kerala High Court is revered as and stressed that judges should not have an expectation of post-retirement government jobs as government is a major litigant and then judges do not dare to invite government displeasure. "Appointment of judges is not a family property of someone to be partitioned. I do not believe that judgeship should be allotted to each and every religion, caste or sub caste. I learn from media that some names from the Bar have been recommended for elevation. If the names given by the media are correct, I can very well say that most of the judges of this Court including me have no good fortune to see even the faces of some of those persons. Is it good for the judiciary?" He also exhorted the members of the Bar to speak up against such issues and practices to bring about a “cleansing effect” in the judiciary. Justice Pasha said, “Imparting justice is not an easy job and one has to jump many hurdles for the same. Hurdles are being created by extrajudicial forces and also on some occasions, from within the system”. “What is alarming me today is that the great glory achieved by this court in the past decades by the hard work of the judges of this court and the elite Bar has been considerably diminished a lot due to some recent incidents happened here. “Such a belief is there not only among the members of the Bar but also the judges, past and present. Judges will come and go but the Bar will always be there. The said incidents have tarnished the image of this institution and it has lowered its reputation in the estimation of the right thinking members of the public. Judges will not be the losers, the Bar will be the ultimate loser,” he said. Justice Pasha called on the members of the Bar to speak up against corruption in the judiciary including the appointment of judges as he spoke against names of incompetent persons being picked for judgeship even as deserving members were present in the Bar. “In the instant situation, I honestly believe that the brethren in the Bar have to take up such issues in future and react to it if it is felt that there is any substance in it so that it will have a cleansing effect. I recollect that the Bombay Bar had come down heavily and reacted strongly when they could realize that certain judges of that Court were indulging in corruption. It had a cleansing effect,” he said. Justice Pasha went on to add that, “Appointment of judges is not a family property of someone to be partitioned. I do not believe that judgeship should be allotted to each and every religion, caste or sub-caste, I learn from media that some names from the Bar have been recommended for elevation. If the name given by the media is correct I can very well say that most of the judges of this court including me have no good fortune to see even the faces of some of those people. Is it good for the Judiciary? Competent lawyers eligible to be elevated are there among the members of the Bar. To pick and choose some persons who are not at all competent to be judges and to recommend them for elevation will point fingers towards the system. A judge is being considered as a Minister of this temple of justice. The duty to impart justice is a divine function. Also when persons have to perform divine functions are to be selected they should have the capacity for it,” said Justice Pasha. Justice Pasha also said that government is the major litigant before the courts of law especially before the high court. “When a judge is expecting a post-retirement job from the government, normally he will be in a position not to invite displeasure from the government at least in the year of his retirement. There is a common complaint that such judges are not dared to invite displeasure from the government by expecting post-retirement jobs,” he said while recollecting the words of Justice S H Kapadia and Justice TS Thakur that any judge should not accept any salaried job under any government at least for a cooling period of 3 years from his or her retirement. He also appealed to the judges not to forget the members of the subordinate Judiciary and not that they should not be regarded as the “Forgotten mass as they are also performing divine functions as you are doing”. His father P B Bathisha was a headmaster and mother K Sainaba Beevi was a teacher. In his farewell speech, Justice Pasha said his father instilled a sense of justice in him and thanked “Judge Guru” Mr. Justice K T Thomas who, he said, “gave me valuable advice and has appreciated the way in which I was performing as a judge”. He also said that it is for the Bar to judge whether he has succeeded in his attempts as a judge. “I can swear that I have worked hard as a judge and tried to give back to the people of this country the worth of every pie they have spent on me, he said as he shared that he has disposed of all cases and has no arrears or reserved matters. Born on May 25, 1956, at Anchal Village in Kollam district, Justice Pasha studied at government U.P School Vadamon, and graduated from St.John's College Anchal. He obtained LB degree from Government Law College, Thiruvananthapuram and LLM at MG University, Kottayam. Enrolled as an Advocate on December 16, 1979, he started practice in the year 1979 at Kollam and was appointed as Second Additional District and Sessions Judge, Ernakulam in 1995. He also served as District and Sessions Judge Thiruvananthapuram and Additional District and Sessions Judge, Kozhikode, Special judge (SPE/CBI) at Ernakulam, Principal District and Sessions Judge and STAT, Ernakulam followed by appointment as Registrar General of High Court of Kerala on March 19, 2012. He was sworn in as Additional Judge of the High Court of Kerala on 28th January, 2013 and made a permanent judge on June 30, 2014.